Spanish painter. 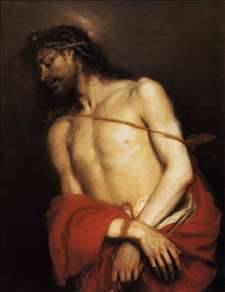 He first trained with his father, Mateo Cerezo the Elder, a painter of devotional images, and then completed his training in Madrid, where he arrived c. 1654. He is said to have studied with Juan Carreño de Miranda or possibly with Antonio de Pereda. Between 1656 and 1659 Cerezo worked in Valladolid and Burgos, returning permanently to Madrid c. 1660. 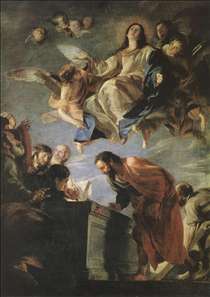 His short career showed a precocious talent, and he rapidly absorbed the techniques of Carreño and of such contemporary painters as Francisco de Herrera the Younger. He was inspired by Titian and the refined elegance of Anthony van Dyck, and his varied, warm palette made him one of the most sensitive and refined colourists of the late Madrid school. 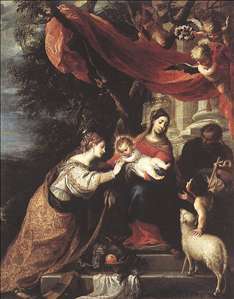 See more details about "The Mystic Marriage of St Catherine"
See more details about "Ecce Homo"